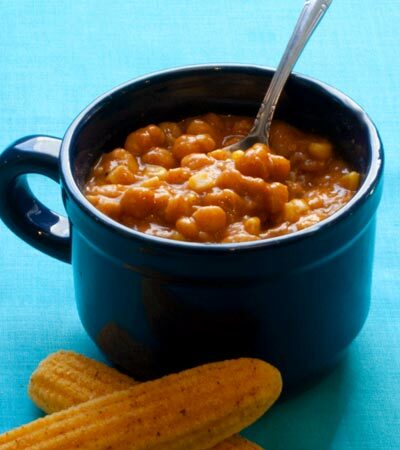 A low-fat and vegan alternative to the popular white bean chicken chili. Want to know what others thought about this recipe? Would you like to comment on this recipe? Go to the White Bean & Chick Pea Chili blog entry. 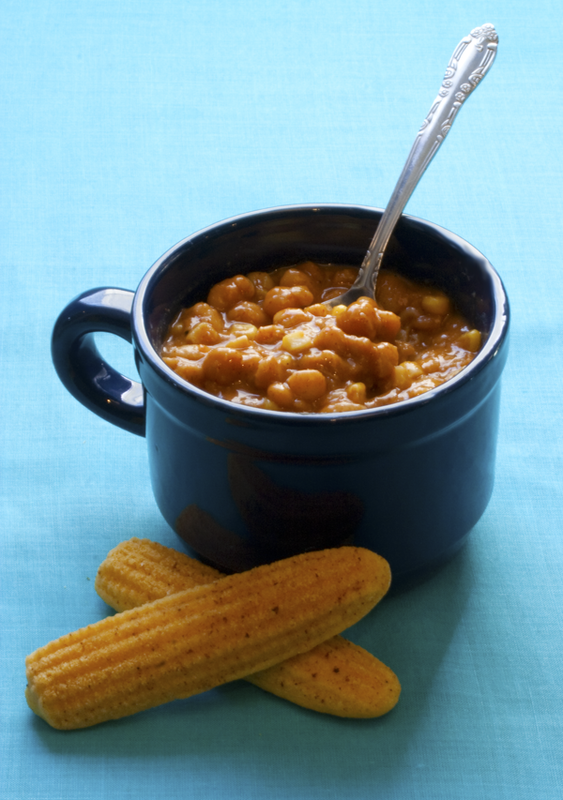 Soak beans and chick peas overnight by putting them in a big bowl and making sure they are completely covered in water. Pour off water and rinse beans. Place them in a large pot with the 6 cups of water and frozen corn. Bring to a boil and pour into a large crock pot. In a skillet, saute onion and pepper with the canola oil until onions are transparent. Place this into the crock pot as well. Now add soy sauce, liquid smoke, onion and garlic powder, lemon pepper, corriander, sugar, ancho chili powder, white or red chili powder and cumin. Set crock pot for 4 hours. 10 minutes before serving, place nutritional yeast, rice milk, arrow root, sugar and seasoning salt and salt into a food processor and blend until smooth. Place into the crock pot and stir together. Let cook another 10 minutes to thicken up the chili.